Because when everything is said and done, so far The Division Beta feels much like the same as the Alpha. Now, we still have a ways to go. I mean, this is only the first hour of gameplay. At least this time they are ending it on a Sunday instead of a thursday…so us working slobs will have even more time to pwn some newbs!There is a rumor that the crafting station at your base is unlocked this time (that’s different), but what I really want to see is the spawn rate for mobs in the Dark Zone (that’s the PvP area that heavily emphasizes PvE…but let’s you attack anybody). As with all of our “Play Through Series” we will update this page with the additional videos as they are published to YouTube! Firaxis Games appears to be attempting to revive the Tomb Raider franchise, and I hope that they do! This isn’t the quasi typical “Lara Croft” with all her bouncing bits… Firaxis games herd the cries of those screaming about the hyper sexualization of women in video games and gave Lara a much more realistic look. They even put pants on her! But in all seriousness, this is a very well rounded game. The tomb challenges are reminiscent of the Tomb Raider many of us older gamers will remember, where there are little to no hints and you really have to think to solve the “puzzle.” The depth of the lore that is available is great, and you can easily spend hours exploring different zones, then to top it off they have various challenges in each zone that give you no clues at all other than a vague subnote in the map screen. Graphics – 4. They are really good, better than many other games that have been released in the last year, but not quite the best I’ve ever seen. Story – 4.5. An excellent story, but it is linear. Even so; there is a lot of depth as you really come to understand how Lara Croft came to be the Tomb Raider we knew growing up. Mechanics – 3. Little things here and there, like items can only be picked up from a particular angel or homing animations during certain jumps. They are slight, and few between but enough to warrant a lower rating. Combat – 3. The Combat system tries to be realistic, and maybe on the hardest difficulty it would be. Cover plays a good role, but sometimes hiding in the bushes is just as effective as hiding behind a rock. There’s no homing, it’s all twitch based, which is good. It’s not bad, but I think it could have been a bit better. I mean Lara Croft shouldn’t be able to take more damage wearing a t-shirt and yoga pants than a fully a trooper completely clad in body armor. Lore – 5. Rise of the Tomb Raider is riddled with lore for you to hunt down, and it plays such a nice role in building the back story for the struggle that you have been thrust into. Showing centuries of battles between these two foes really sheds light into what you have gotten yourself into, and hints as to what you can expect later in the game. Economy – 3.5. For the most part its well balanced, but at times it feels you get too much too fast, and then other times it feels nearly impossible to find the materials or tools you need to upgrade some items. In fact, you’ll most likely complete the game without ever maxing out a single weapon, even if you have the tools available to do it. This isn’t the case with ammo, unless you only want to use 1 of the 4 ranged weapons you have towards the end. Replay – 3. Being a linear story makes for little replay, but the alternative game mode does add a good twist. You can play with your friends and challenge them to kill streaks while adding various hinderances like no starting ammo, player upgrades like maxed out weapons, and fun perks like “Big Heads” and chicken arrows. Its a game where, if there is nothing else to do, you can rerun one of your favorite maps with some new challenges added to it just for kicks. 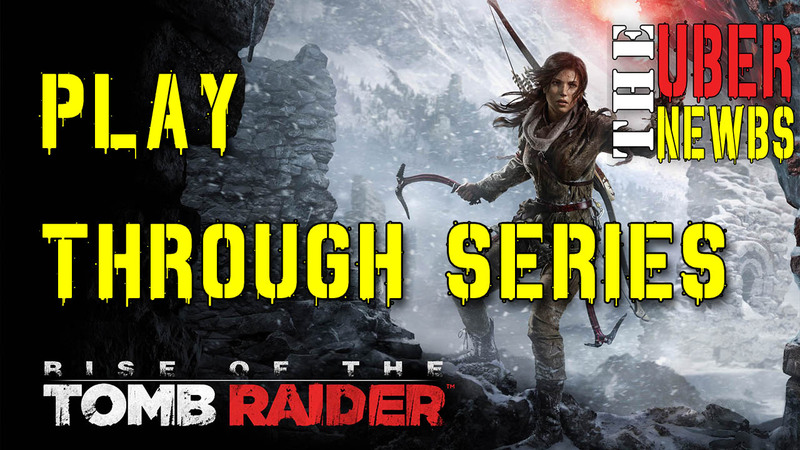 Tadradan takes us through the complete game play of Rise of the Tomb Raider in this video play through series. Lara Croft is back, and has the similar look from the 2013 reboot just with even better graphics! For the fem-a-Nazis out there, put your bras back on before they catch fire, because this is not one of those games that continues the “hyper-sexualization of women” in video games. In fact, Lara Croft is actually wearing pants, besides having a much more natural look. The crafting element and skill trees are a nice touch as well, helping to improve the game the way you play it and rewarding you for doing more side quests. 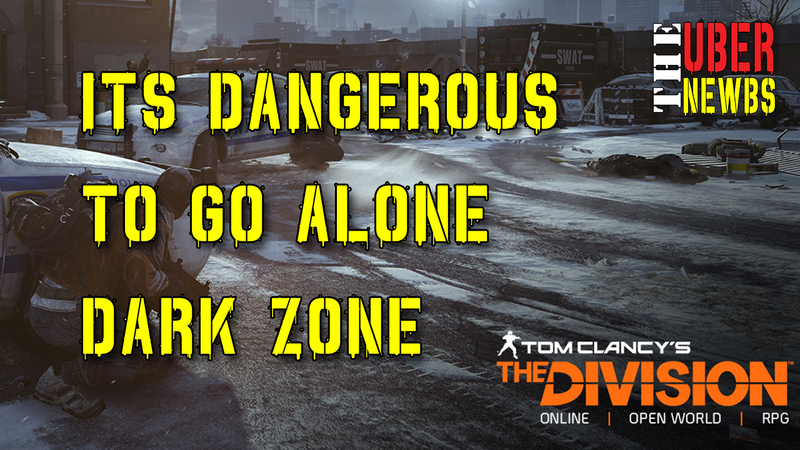 There are plenty, including missions you can get from NPCs from time to time. You’ll also find yourself returning to previous areas (if you’re an achievement hunter that is) to use new skills or equipment to complete a cave or tomb. Instead of creating a new post for every video we upload for this play through series, we will simply add the video to this page to keep things clean and simple! Book marks this page and check it daily, or subscribe to our channel to get notified of when we post the next videos. 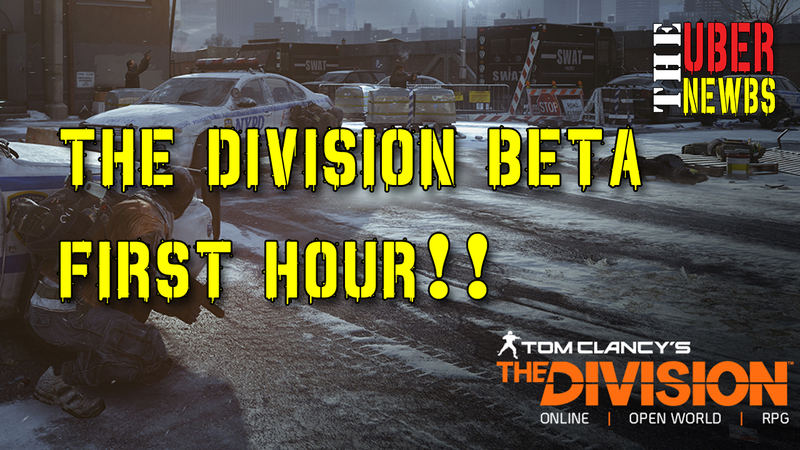 With over 40 hours of video recorded already, there will be plenty of great videos for you to review! I’m super excited about this one! I love, love, LOVE Xcom! The turn-based style turns a lot of RTS gamers away, but let’s be serious, there are a lot more tactics involved in this game than most any other game out there. Every move you make has rewards and consequences, and when you lose a high-ranking character (especially a Psi) because you made a mistake, it takes a toll on you for a long time! Unfortunately there is no information on when (if at all) it will release to console. So you have about a month to start upping your old gaming rig to run this bad boy! PC Gamer reports the specs they found, but nothing officially from Firaxis is on their website. Naughty Dog is preparing to release their fourth adventure with the infamous Nathan Drake and all his wall climbing, cliff jumping, rope swinging and everything exploding action! Coming to PS4 on April 26, 2016, PlayStation players will be able to take part in this epic adventure! The whole Uncharted series for me was awesome! 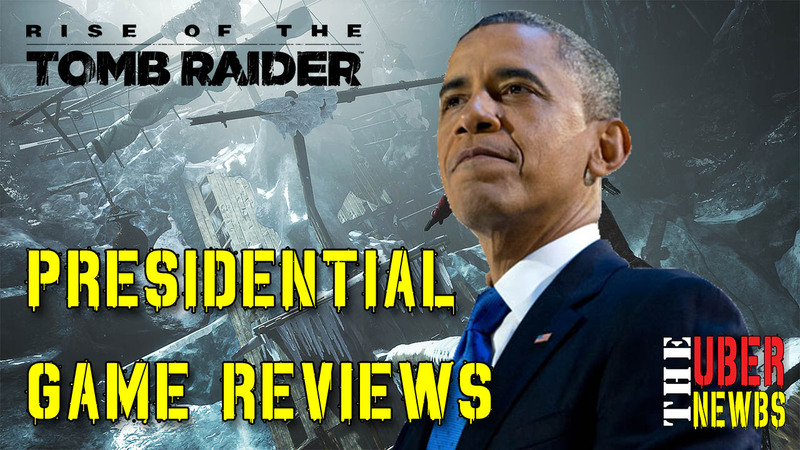 Not open world style, like most games I enjoy, but a real traditional action/adventure game. The graphics in the previous games were amazing, so I am really looking forward to seeing how the graphics turn out in this next iteration! I always appreciate it when developer’s and publishers push a release date out, and that’s what they announced December 23, 2015. It’s all too common these days to get your game on launch day and then have to download a 3GB patch, only to have more bugs than an urban alley! So, when they say “Sorry, You’re going to have to wait another month or two,” don’t scream and cry, be thankful they are doing their diligent in validating that you will have the best launch day experience possible! Not going to lie, but I have mixed reactions about EA’s announcement regarding Mass Effect: ANDROMEDA (a.k.a. Mass Effect 4). Why? Well, because it will either have Commander Shepard, or it won’t. Unless they try to pull some real twisted stuff or go backwards in time, then Commander Shepard shouldn’t be there, or did you forget he sacrificed himself at the end of Mass Effect 3? Either way I’m still excited to dawn my N7 Armor and go storming through multiple galaxies in the Normandy…ah, the good ole’ days. Right now EA has a tentative launch date of “Holidays 2016”. There are rumors saying that is already done, but EA is just sitting on it. I don’t buy into rumors though, and even if they were just sitting on it we have so many other great titles coming out soon that it would be in their best interest to sit on it for awhile. Until then, enjoy this official trailer from EA!